It's my favorite day...Tuesday...to share with all the wonderful tea realted blogs...many of whom are listed at the bottom of the page. 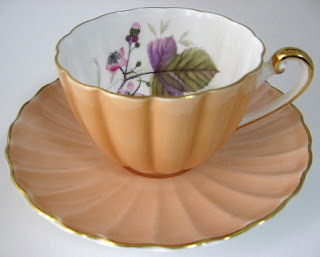 I was thrilled to have found this gorgeous teacup by Royal Stafford, England made between 1940-1952. The Golden Bramble is a favorite pattern of mine. 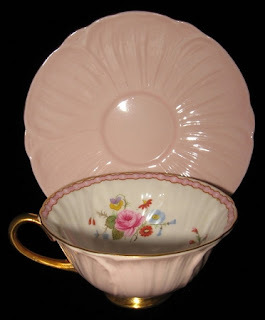 It is what can truly be called a "cabinet" cup and saucer, meaning you would display it in your china cabinet. The photos don't do it justice as the gold leaves, accents and trim can't be photographed well, but it is really beautiful...and perfect for fall! For more info on the Golden Bramble teacup at Antiques And Teacups click on the photos. I sat with my cup of tea and the September/October 2008 and 2009 issues of Victoria magazine to day and nibbled on my HobNob biscuit. We buy them by the case...HobNob Plain or Dark chocolate. Lovely! I so enjoy looking through the old Victorias. 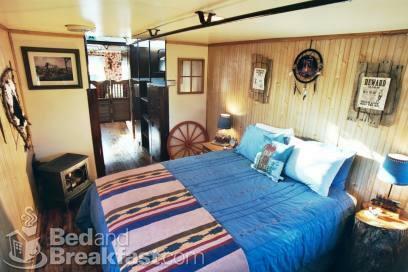 This is from the November/December issue of Northwest Travel magazine. The photo is by Ross Martin taken in Seattle's arboretum. using old pudding molds and fence finials for decor. Enjoy the tea realated parties below! 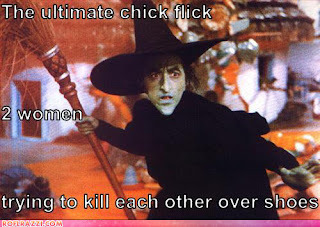 Okay...I stole this from a friend on Facebook...she knows I did, and she in turn stole it from someone else, But...you can see why I couldn't resist!!! Happy Pink Saturday with How Sweet The Sound. We have had pouring rain on and off all day. Must be fall! 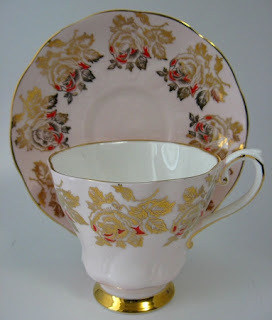 I am sharing a pale pink teacup with gold roses and red accents by Royal Grafton, England in the 1950s. It is such an unusual combination....the pale pink with red. But the red and gold roses still spoke to me of fall. 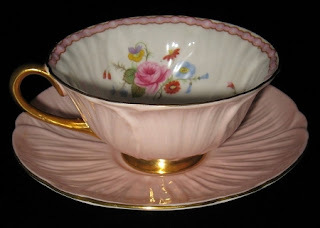 For more info on the Royal Grafton teacup at Antiques And Teacups, click on the photos. I get Sunset Magazine which I grew up with, being born only 2 miles from their headquarters in Menlo Park, California and love their magazine. 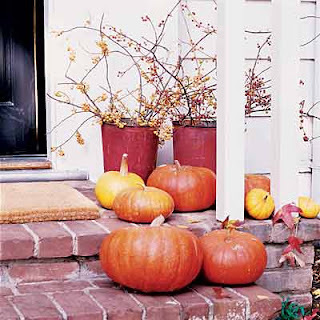 I found these photos of decorating with pumpkins from an email I received about my upcoming renewal date. Sunset has neat regional versions. I gave my daughter in law who lives several states away in Utah a subscription for Christmas one year and we found there were shared elements but differing ones as well from our Washington state edition. Quite fun! Have a great Pink Saturday and watch the video on How Sweet The Sound of Lexington Hospital who won the Pink Gloves award. It's really fun! It's going to frost again tonight. It was only 34 when I got up this morning at 6am and the frost lingered until about 10am. So it seemed like a good night to prepare the acorn squash we got last week at our Farmer's Open Air Market. I have several recipes for stuffed squash as we like it during the fall & winter for a vegetarian meal now and again. So I chose the one with no dairy, as I am allergic to it and am back on my no allergens routine that I use when I am singing as I am singing in our church Christmas program. A soprano doesn't need asthma...which is what happens when I have much in the way of dairy products. This recipe is taken from a Rodale , Prevention magazine cookbook I have had for years called Health Guaranteed. I use a lot of the recipes. Baked Stuffed Acorn Squash. The hardest part is splitting the squash! Preheat oven to 425 degrees, convection 400 degrees. Cut the squash in half lengthwise (the hardest part of recipe IMHO). Scrape and discard seeds. Place the squash cut side down in a 13X9 inch baking pan. Cover with vented plastic wrap and microwave on high 12-15 minutes, or until almost tender. Uncover and turn over...see photo above. Place the cherries in the hot water to soak in a small bowl for several minutes until softened. Coat a large non stick frying pan with non stick spray and over medium heat, cook mushrooms, onions, almonds and sage. Stirring occasionally, cook for 7-9 minutes or until onions are softened. Stir in the bread crumbs and cook 3 minutes. Add the cherries and soaking water. Season with salt and pepper as desired. Divide the mixture among the squash halves. Mist with non stick spray. Cover with foil and bake for 20 minutes. Remove the foil and bake for 10-12 minutes more or until the squash are very tender. This end result turned out a funny color...I assume because the kitchen light was on. An ace photographer, I am NOT! But you get the idea. I was delicious! Hope you have a toasty evening! Welcome to Thursday Teacups And Tea Things. 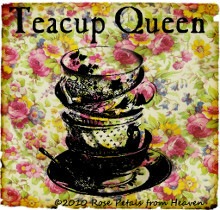 I am also joining Miss Spenser's Teacup Thursday and Vintage Thingie Thursday with Coloradolady. 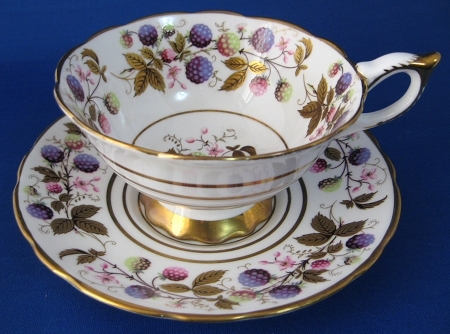 This is a teacup by my favorite maker, Shelley China, England in fall colors with a berry pattern called Bramble. The cup and saucer was made in the Ludlow shape and was made between 1964 and when the pottery was closed in 1966. 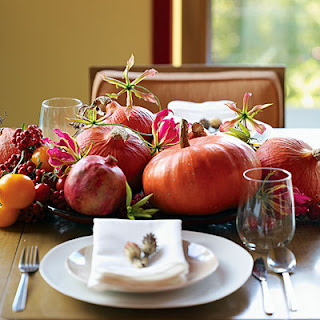 I love the fluted shape and the peachy color which is such an expression of fall with the berries. 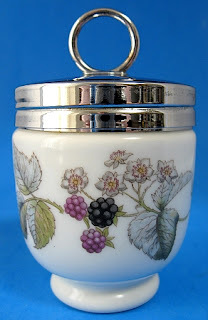 And as a companion, here is a Royal Worcester egg coddler with the Lavinia pattern of blackberries on it, which is also my thingie for Vintage Thingie Thursday. If you are not familiar with egg coddlers, the have been around for over 100 years in England and are used to cook eggs in boiling water. There are several sizes with the single or standard egg coddler which fits 1 egg, the double or king egg coddler which fits 2 eggs. There was even a large 6 egg coddler made in the 1940-1950s but that was discontinued. There about 300 different patterns and have actually been made by several manufacturers, although Royal Worcester is the best known. An egg coddler is a porcelain or pottery cup with a lid that is used to prepare a dish called, appropriately enough, coddled eggs. The egg(s) are broken into the buttered coddler, and seasonings are added. The coddler is then closed with the lid and partially immersed in boiling water for a few minutes. 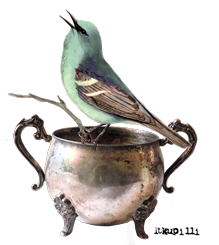 When the eggs are cooked to the desired firmness, the coddler is lifted from the boiling water, the lid removed, and breakfast is served, in a lovely decorated dish. Start water in large pot to boiling. Butter the inside of the coddler and the inside of the metal lid. (you can also use olive oil, cooking oil, or non-stick spray). Screw on the lid (do not screw the lid on very tightly. A loose turn is sufficient) and stand the coddler in a pan of boiling water, taking care that the water level comes almost up to the bottom of the lid the porcelain body. Simmer for 7 to 8 minutes. Remove the coddler from the water using the end of a fork/spoon through the lifting ring or lift using oven mitts or other heat-proof gloves. Set the coddler on a towel, or trivet (not on a cold heat-conductive surface, such as a counter top. Using a towel and holding the lid by the rim, not by the lifting ring, twist the lid to loosen it. 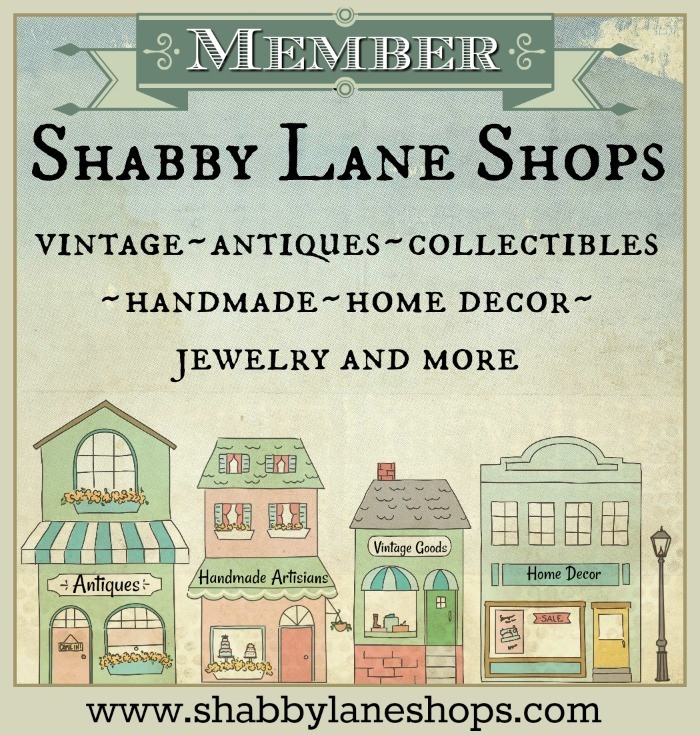 For more info on the Shelley Bramble teacup or egg coddler at Antiques And Teacups just click on the photos. 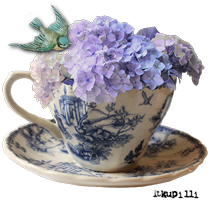 Hello and welcome to Teacup Tuesday, Teapot & Tea things Tuesday, Tuesday Cuppa Tea and all the other wonderful tea related blog parties, many of which are listed at the bottom of the post for you to visit. 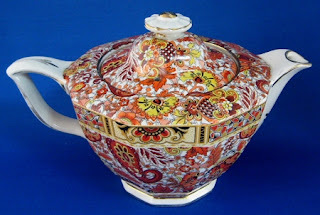 I am still in a fall mood so today I have a teapot and a teacup by different makers in a paisley chintz pattern. 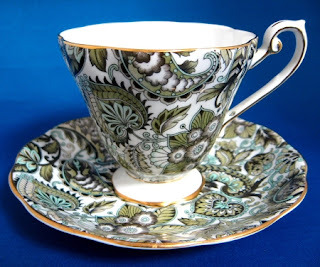 This is a wonderful Royal Standard, England cup and saucer made in the 1950s. I love it! Very fall colors as well. This is a different colorway and variation of paisley from an unknown English maker from the 1930s. Paisley was a very popular pattern from the 1850-1950s and was made in a number of variations by many different manufacturers. "Paisley" is a term taken from ancient Persian designs or designs from India that were brought to England during explorations of the far east and during The Raj or English occupation of India and designated an embellished teardrop shape. The term "chintz" derived from the same areas but denoted an all over print style taken from textiles as was paisley. 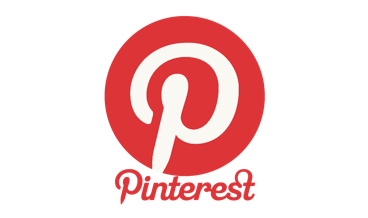 I love both paisley and chintz~ What's NOT to love??? 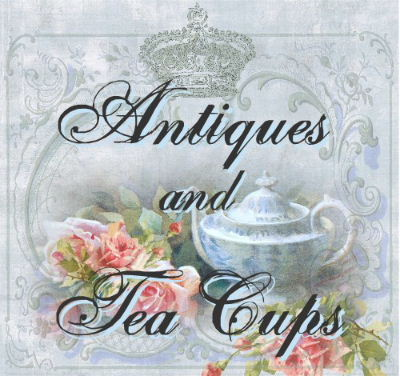 For more info on the paisley teacup and teapot at Antiques And Teacups, click on the photos. 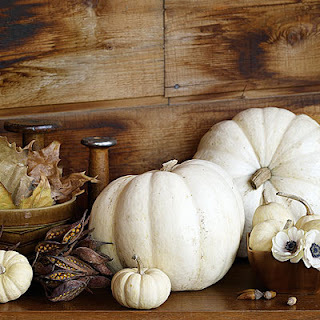 Speaking of fall...we were, weren't we? I found a slightly battered tea related book in the bookshelf. 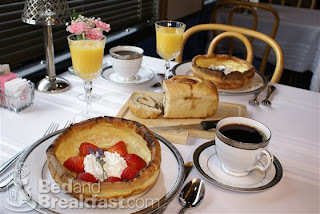 The book is called Tea - Delectables For All Seasons by Maryjo Koch. Click the title to go the Amazon.com listing. 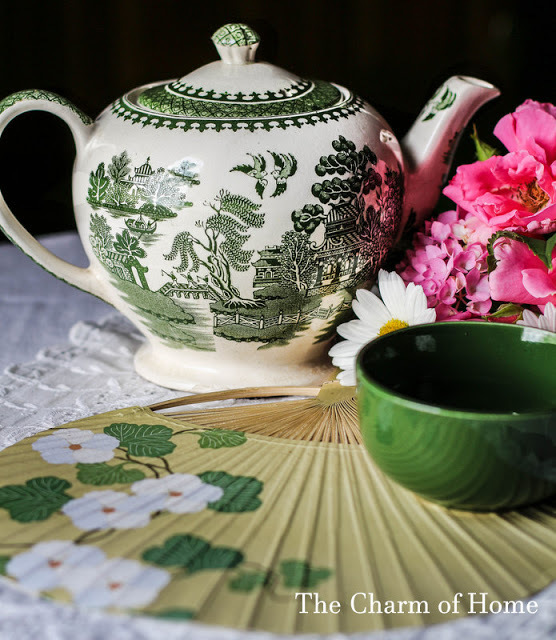 The hardback book is small, tied closed with a green ribbon and features drawings of botanicals and teapots, tea lore, tea terms and just delightful tea realted drawings by the author. For her Autumn page, she has drawn a teapot shape made of twigs and mushrooms with the comment "Mushroom tea? Perhaps. Beautiful on a pot, not in it." 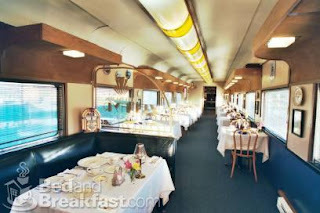 The book was published in 1995 by Collins Publishing, San Francisco. Pecan-Pumpkin Bread: Omit butter, brown sugar, and corn syrup. 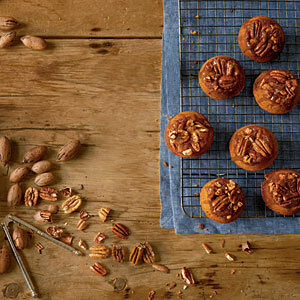 Substitute 1 1/2 cups chopped pecans for 2 cups pecan halves and pieces; toast as directed in Step 1. Omit Step 2. Prepare batter as directed in Step 3; stir in pecans. Spoon batter into 2 greased and floured 9- x 5-inch loafpans. Bake at 350° for 1 hour to 1 hour and 10 minutes or until a long wooden pick inserted in center comes out clean. Cool in pans on a wire rack 10 minutes. Remove from pans to wire rack, and cool completely (about 1 hour). Makes: 2 loaves. Hands-on time: 20 min. ; Total time 2 hr., 40 min. Does that sound good...or what! Have a great day visiting the other tea related blogs and enjoy what here in Sequim is a crisp, clear, gorgeous fall day! 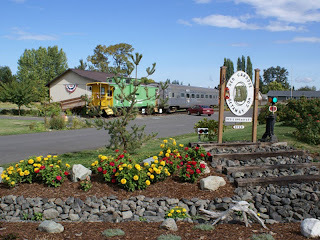 It was very rainy here in the Pacific Northwest, so rainy that a graveyard tour got cancelled. Not that I was attending that today...but I was our weekly street market. It's about the end of the season, but there was an artisan booth there that caught my attention for several reasons, including a thought for Spiritual Sundays. I hope you can see what these are...Chyme Thyme, a local artisan business has taken abandoned, flawed and orphan plates, bowls and saucers and added beads, embellishments and pieces of colorful glass to turn them into wind chimes to delight the senses. How like our Lord to take us, and the broken, damaged and seemingly useless things in our lives and turn them into instruments of praise to His glory as Ephesians keeps repeating. 7 But we have this treasure in earthen vessels, so that the surpassing greatness of the power will be of God and not from ourselves; 8 we are afflicted in every way, but not crushed; perplexed, but not despairing; 9persecuted, but not forsaken; struck down, but not destroyed; 10 always carrying about in the body the dying of Jesus, so that the life of Jesus also may be manifested in our body. 11 For we who live are constantly being delivered over to death for Jesus’ sake, so that the life of Jesus also may be manifested in our mortal flesh. 12So death works in us, but life in you. Now I can't tell you that I am not thrilled to have this as my life's verse (I would have preferred something sweeter) that I believe is more meaningful to me than any other, and that I believe the Holy Spirit specifically gave to me, but it certainly has proven true through 35 years as a Christian. And it is as meaningful to me today as we are going through some very difficult times personally, as it has been through many other crises. The colorful recycled china wind chimes spoke to me about being a sweet sound of praise in the winds of adversity instead of a moaning groan. I unearthed a funny wooden heart shaped plaque while cleaning out a closet yesterday with the great sentiment Thou Shalt Not Whine! Amen to that! Be a sweet sounding instrument of praise today and every day, regardless of the winds that blow through our lives...soft or harsh...because we know Who holds everything in the palm of His hand. 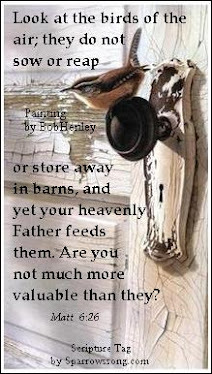 And I want to be the sweet sound of praise in His ear! That is pretty pink, don't you think? No rhyme intended, just happened. 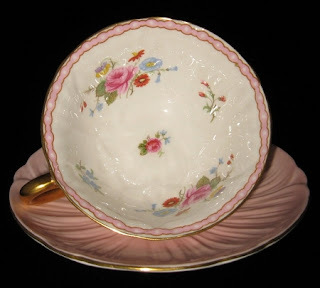 You can see more about the Shelley teacup at Antiques And Teacups by clicking on the photos. How fun is that!!! 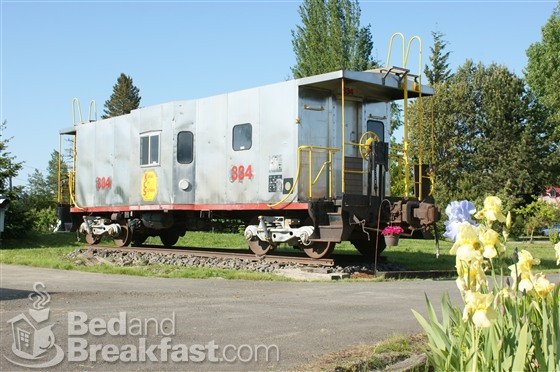 We love fun places to stay, and this is in our own back yard! Have a great weekend, get out and enjoy the things going on in your local communities and visit all the Pink Saturday blogs. It is so much fun! 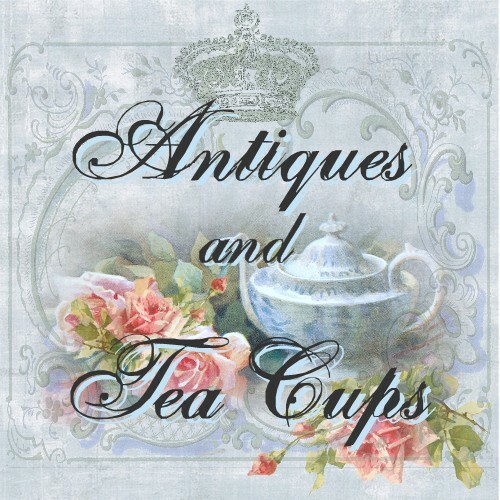 Welcome to Thursday Teacups And Tea Things Teacup Thursday with Miss Spenser's blog and Vintage Thingie Thursday with Colorado Lady and the linky is at the bottom!. 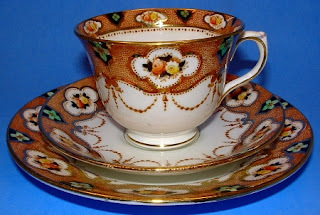 This is an early Royal Albert, England teacup trio in a pattern called Heirloom that was made from 1917-1927. The pattern is called Imari because of the color combination...which is you have seen many of my posts, you know is a favorite of mine. Imari became a fad in the mid Victorian era in England as the china merchants brought in articles with this type of bold and bright colors from the Imari region of Japan. 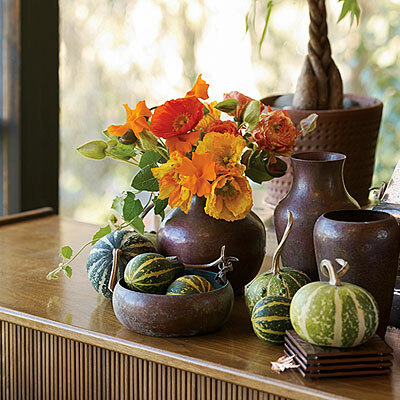 To be Imari, it needed to have cobalt blue and rust with gold. Other popular colors with green and yellow being secondary colors. Imari was hugely popular and fen into empire traditions of so called Gaudy Welsh and Gaudy English which were also boldly colored regional china. Imari continued to be popular right up to the second world war. I love the bright colors, especially the cobalt blue which is often a flow blue. 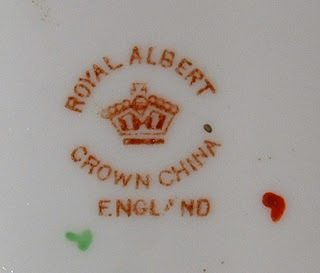 Royal Albert began life in 1896 as Thomas C. Wild & Company in Longton, a district of Stoke-on-Trent in 1896 at the Albert Works which were named for Queen Victoria's beloved consort...hence the company name developed as Royal Albert when the pottery received the right to use the Royal in the name by the crown. 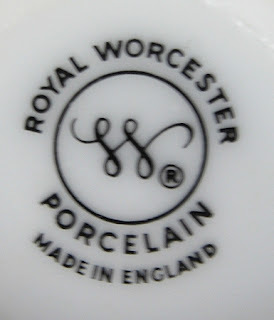 The company was acquired in 1960s by the Pearson Group, in 1972 merged with Royal Doulton and consolidated with with other famous pottery names. 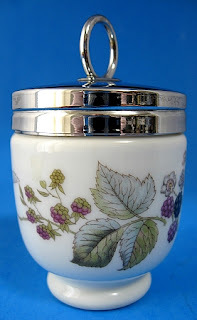 Then in 1993, Royal Doulton which included Royal Albert was split back out of the Pearson Group and in 2002 all UK production ended and was moved to Indonesia, which in my opinion ended fine quality bone china production. 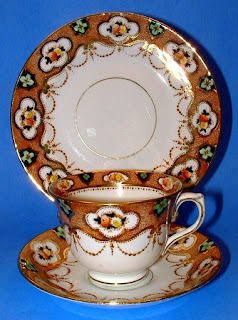 For more info on the Royal Albert Imari teacup trio at Antiques And Teacups, click on the photos. 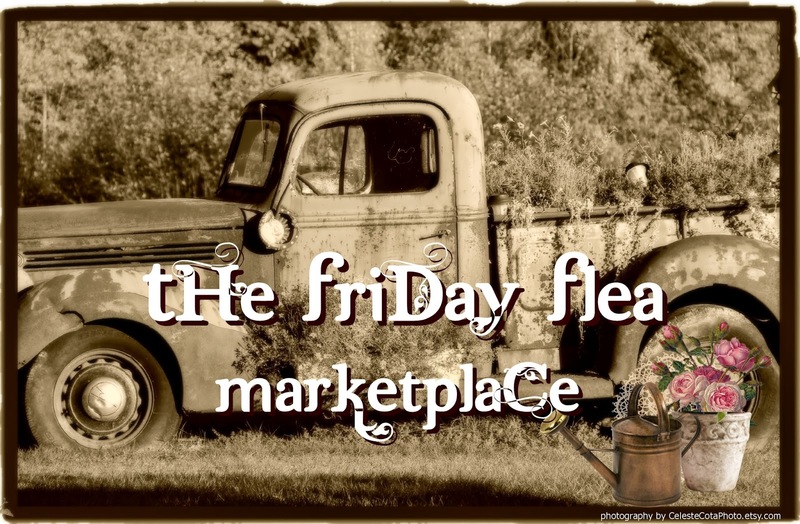 Please join the blog parties at Miss Spenser's Teacup Thursday and Vintage Thingie Thursday with Colorado Lady. Cutest Cat Video from Animal Planet. I LOVE it!! !